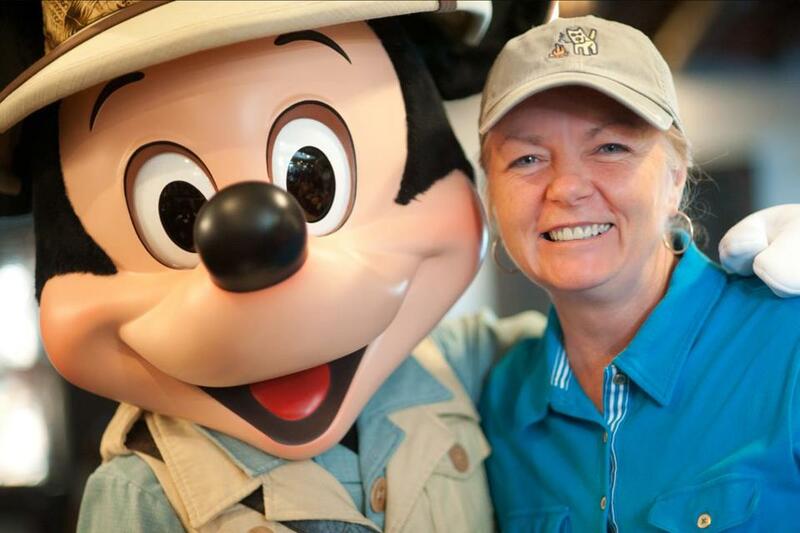 Julie Neal, the author of “The Complete Guide to Walt Disney World” series, has spent more than 2,500 days at Disney World and written hundreds of reviews of attractions, restaurants, shops, and hotels since debuting the guide book in 2007. Her husband, Mike, designs the guides and takes most of the photos, with help from their daughter, Micaela. Below are edited excerpts from an interview with Neal. Q. What prompted you to enter a market already flooded with Disney guides? A. We’d done a book on Sanibel and Captiva islands that did well. It had a lot of photos and we wanted to do the same thing with Disney, as there weren’t books like that. Our guides are known for their color and photography. We’re the only guidebook authors who live in Orlando, so we’re at the park all the time. Q. You hadn’t planned on living there, right? A. We had started on the book when we were living in Sanibel. But Hurricane Charley (in 2004) destroyed our house and our little business. So we moved to Orlando and that’s when we could totally embrace doing the Disney book. Q. Are you independent of Disney? It seems that way from your critiques. A. We’re completely independent. It’s an editorial project and we’re treated as press members. So we go to all press events and have the rights to publish photos. We look at Disney as an interesting place to explore and are interested in how they build their very separate worlds and protect their brand. We’re curious, but not sarcastic. Q. Do you get perks, like VIP parking? A. No, but we do buy premium annual passes, which are the highest-end you can get. With parking, the thing we do most is we go very early, before things open. We recommend that to anybody. The first two hours in the park are magical. Q. What’s new in your 2017 edition? A. Almost 200 photos are new, and all photos are bigger. Also, we have 70 more pages with more details on the fun stuff and less on the dry stuff. We give a lot of insight into the theme parks — things people can’t get online. Q. You spent an entire day at one attraction, the Twilight Zone Tower of Terror, a drop-tower ride in Hollywood Studios. Why so long? A. Because of the depth of what Disney has done. I’d go on the ride over and over. I also spent tons of times in the queue just looking for things. You could literally spend hours looking for illusions to “Twilight Zone.” For example, in the elevator a small inspection certificate is signed by “Cadwallader,” who in an episode of the show turned out to be the devil. The certificate number is a reference to the date the series premiered. The more you look, the more you find. Q. You have a separate book devoted to fun finds and Hidden Mickeys, some of which you mention in this guide. Are most people aware of the hundreds of subtle silhouette images of Mickey Mouse throughout the park? A. I think most people have no idea, and they’re delighted to learn there are these new things to look for. Disney keeps adding to them all the time. Q. You write that “happiness is a cheap room.” Why? A. You could spend your money in much better ways than on fancy rooms. Also, you can take advantage of fancy resorts without staying there. Go to Animal Kingdom Lodge for dinner and out back there’s a fire pit and you can look at the animals through night vision goggles. Or at Fort Wilderness Resort, there’s a free movie, s’mores, and a singalong with Chip & Dale. Q. What’s the most significant change you’ve seen over the last few years? A. Definitely line management. That includes the ride reservation system, which we explain thoroughly, and also making the wait more entertaining with interactive queues. Like at Big Thunder Mountain Railroad in the Magic Kingdom, you can work a crank that makes little explosions in the landscape and look through windows to see images of miners working. Q. What’s your advice for Disney newbies? A. I’d say take a day for each park — there are four of them. Then maybe another day to go back to the park you liked the best and a day for a water park. Then take time to do something completely different, like fishing or going to Kennedy Space Center. When people think of going to Disney, they get overwhelmed by it — and they should. That’s why it’s important that you have a plan, but also include time to be open to other things.